The Head of media office at the Health Ministry of the Government of National Accord in Tripoli, Wedad Abo Al-Niran said the fighting in Tripoli has caused 475 injuries and 76 deaths so far. Ms. Abo Al-Niran told Libyan Express that the casualties don’t include those of the attacking forces under Khalifa Haftar’s command. She also explained that there had been injuries among African workers in areas of clashes, but not among illegal immigrants in detention centers. 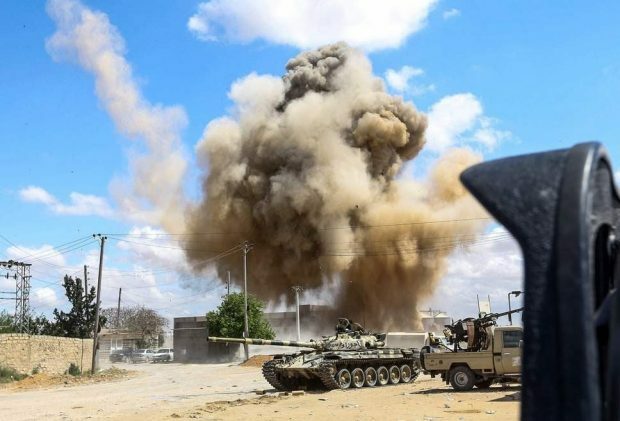 The attack on Tripoli has been ongoing for 11 days between Haftar’s forces and GNA forces, with the former trying to control power and the capital by force, not caring for the destruction or the bloodshed that come with the attack.